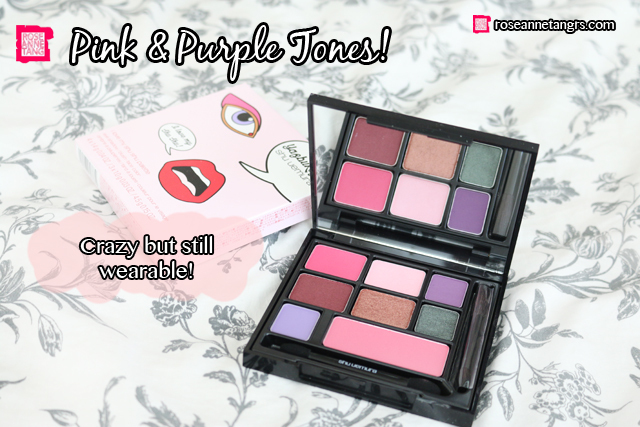 Yazbukey for Shu Uemura Spring 2015 Make-up Collection – Haul & Giveaway! Whenever Shu Uemura comes out with a new collection, I get excited! They’re always so fun and quirky and full of life! This time Shu Uemura paired up with Yazbukey to create this iconic pop collection and I can’t wait to share it with you. I was particularly excited about this collection because I actually saw it on instagram prior to getting my hands on it and I have to say the eye and lip designs were certainly eye-catching. If you haven’t yet discovered Yazbukey is actually a fashion design house known for wacky pop jewel designs and what I see body part motifs. 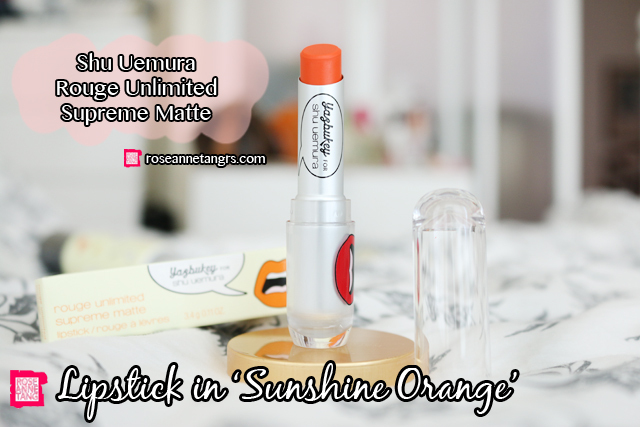 It’s certianly iconic in its own right and such a cool and unique brand that Shu Uemura has chosen to collaborate with for their Spring 2015 collection. You can read more about Yazubukey on their webiste, here. Shu Uemura kindly sent over this collection so I could check it out so thank you! Let’s see what’s in store! The Shu Uemura x Yazbukey collection revolves around four girls who all want to be the belle of the ball and win the affections of a man named “Shu Shu” which explains the “I want my Shu Shu” and “I love my Shu Shu” speech bubbles that you see. Each color – pink, green, orange and blue- represent the different girls in this concept all of which have different personalities like Yaz bukey the designer herself, a british lawyer, magazine editor and actress. It’s interesting to say the least and you can see these colors reflected in the packaging. I reckon its really to convey that Shu Uemura is an accessory for every woman’s life and all the whimsical dramas that accompany them. When I saw this lipstick and the packaging, you kind of already have a great idea of what this collection is about – fun, loud and bright. The Matte Supreme is a super fun and bright orange that is going to be perfect for spring and summer since bright lips are very trendy now. I know that we’re all used to our red lipsticks but orange is actually a pretty flattering color for the lips. It is perfect for a summery trip or holiday by the beach. It’s not over the top and too experimental like purple and green can be but still not as safe as your pinks and reds. It’s like an extreme neon – peach! 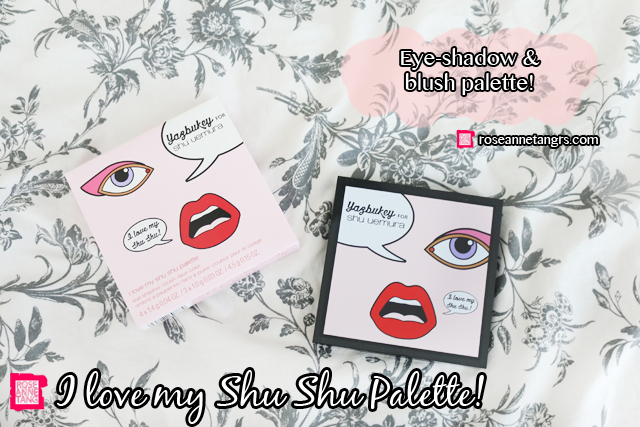 The Shu Uemura x Yazbukey I Love My Shu Shu Palette consists of sparkling pink, purple and green eyeshadows along with a pale pink blush. It’s a fun mix of colors that can turn a wacky day look to a fun night look. I like how the purples look like a doll shade of purple and are matte. Of course, Shu Uemura eye-shadows are always amazing. I especially love the case and packaging of this eye palette. I have been using this throughout my trip in Europe (btw I’m back in Singapore!) and it lasts long and is easy to apply. I love how I don’t have to sharpen it either. For long flights, I usually put a little concealer and draw a pencil liner on my lids and that’s pretty much it. It’s there when I get off the flight and I put it in my bag since it’s not a liquid too! This has always been a confusing product for me to be honest! 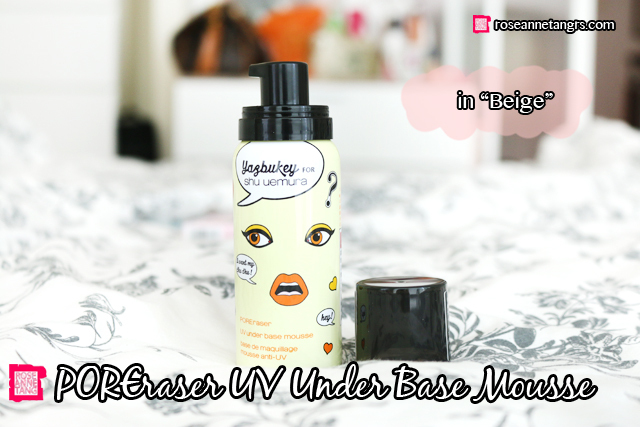 It’s a make-up primer that is in mousse form. My make-up actually does last longer when I apply it before my foundation but it is such a mess when it comes to applying it. Even the smallest push warrants a HUGE amount of foam and mousse, much more than I would ever need for my face. It’s also a little weird how you have to push the foam in and a bit hard to use to be honest. However, it makes my make-up last longer which is nice and hey, the packaging is cute here too. Overall, I have to say it’s one of Shu Uemura’s coolest and quirkiest collaborations to date. 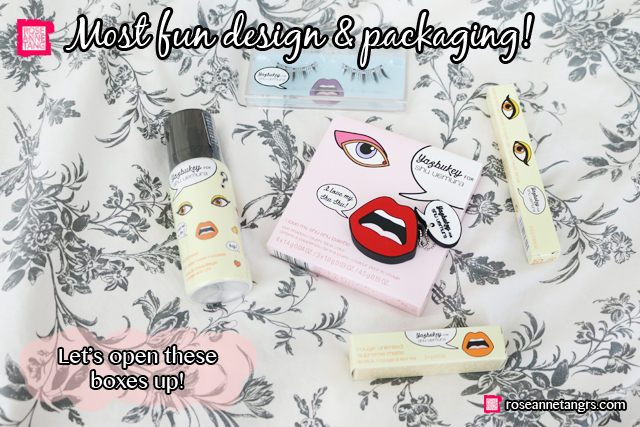 I love the packaging and the loud and fun colours that yells Spring and Summer. It’s out at every Shu Uemura counter right now! And of course what’s real sharing without a giveaway! Shu Uemura x Yazbukey Giveaway! 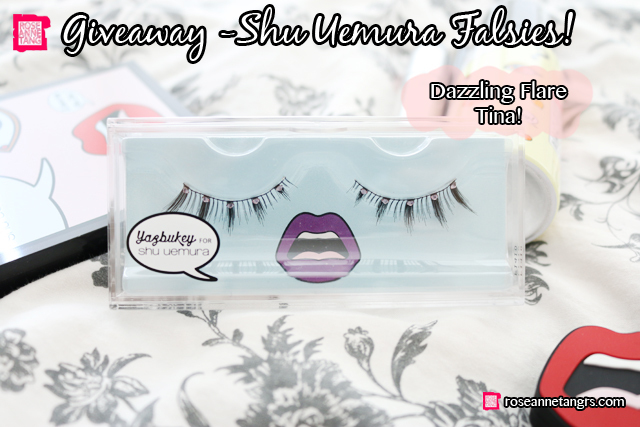 If you would like to win these amazing Shu Uemra x Yazbukey false lashes in Dazzling Flare Tina (Shu Uemura is known for its amazing false eyelashes), then all you have to do is comment down below with the answer to this question “What makes you instantly happy?”. This giveaway is international and ends on May 25, 2014. Good Luck! And..if you want to win the Shu Uemura x Yazbukey I Love My Shu Shu eye-shadow and blush palette, I will be doing a giveaway of it very soon on the Bloom instagram @bloombyroseanne so be sure to follow us there! Video Tutorial: How to Look Like Angelababy! What makes me instantly happy? Seeing my make up that still looks good after 8 hours! Hey Roseanne! Thank you for hosting the giveaway! Something that makes me instantly happy will sound very cliche but seeing others laughing happily, I can’t help but to feel happy too!